Things are swinging in a new direction in America. And sure, it’s late in the game, but the game-changers seem finally to be coming around. We all know who they are . . . those with the buckets of money who have been so unrelentingly resistant to what many of us feel is simply common sense. 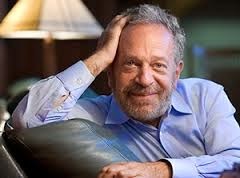 I propose as evidence a recent column by Robert Reich, titled Real Business Leaders Want to Save Capitalism. Nice title. User-friendly and I opened it to some surprise, expecting it to (again) be a Reich treatise on what business leaders should be paying attention to. Actually, Robert was paid a visit by a man he identifies only as ‘chairman of one of the country’s biggest high-tech firms,’ but a chairman is a chairman and any port in a storm. Good news to my tired old ears, as I have been raging away for some time now that the movers and shakers were killing the goose. No goose, no golden egg, it’s simply axiomatic. 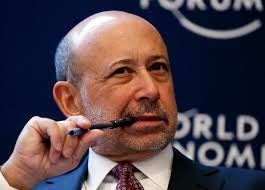 A sliver of light and that would be encouraging all by itself, but the larger beam was yet to come, from the flashlight of no less a luminary than Lloyd Blankfein, CEO of the Wall Street terrorist organization, Goldman Sachs. Bill Gross, Chairman of Pimco, the largest bond-trading firm in the world, said this week that America needs policies that bring labor and capital back into balance, including a higher minimum wage and higher taxes on the rich. Gross has noted that developed economies function best when income inequality is minimal. Several months ago Gross urged his wealthy investors, who benefit the most from a capital-gains tax rate substantially lower than the tax on ordinary income, to support higher taxes on capital gains. “The era of taxing ‘capital’ at lower rates than ‘labor’ should now end,” he stated. Great balls of fire—the same thing Warren Buffett has been saying for some years now. 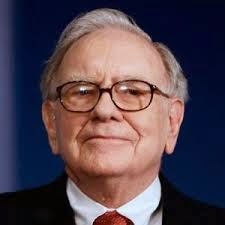 Buffett feels so strongly about the subject that he’s come out of his historically sequestered life to do the talk-show circuit, from Charlie Rose to The Today Show to Jon Stewart. The golden egg is fast becoming Humpty-Dumpty and they’re scared shitless. Late in the game, but better late than never, unless the consequences are already inevitable.